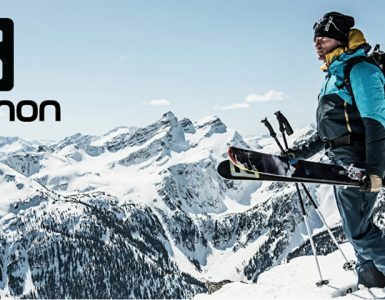 K2 Sports President of Global Sales and Marketing, Tim Petrick, talks ski prices, buying mistakes, and the future of skiing. Tim Petrick returned to K2 in 2012 and in the past has worked side-by-side with k2’s global teams and retail partners for almost 20 years. He knows K2’s DNA intimately and the market climate very well. Tim is a strong leader for the next era of growth and success during K2 Sports’ most pivotal time of opportunity on the domestic and global level. What’s the most common mistake consumers make when buying skis? My point is that although I normally ski 105mm or wider waist skis at Crystal Mountain, WA, my home hill, I would definitely be in the mid 80mm or less if I was still living in Stowe, VT, skiing the Front Four every day. I really believe that we are doing a disservice in the U.S. market saying that everyone needs to be on a ski wider than 100mm in waist width. The wider skis are perfect if you live somewhere the added width is actually a benefit, but if you live in most of the country you will have a lot more fun with skis narrower than 90mm waist widths. Narrower skis are less work on hard snow and more fun. At its heart, what makes for a good pair of skis? For me the best skis are the ones that are playful and forgiving, while still having power and security when you are carrying speed. I think this is true whether we are talking about an intermediate level ski or a full-blown big mountain ski designed for charging. A really good ski, whatever level it is designed for, will feel slippery and forgiving at slow speeds and low edge angles, but will still be solid and stable when you are going faster and arcing turns. You’ve been in the industry for what, 40+ years, what’s the biggest non-gear change you’ve seen in what skiers are looking for from their mountain experience? So much has improved in terms of lifts and facilities and grooming, but the fundamental desire of skiers to experience the joy and freedom of sliding on snow has remained a constant. What’s different? 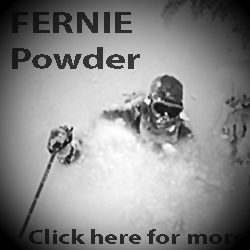 The increasing popularity of going outside the boundaries of the resort and hiking for powder is an obvious one. There were very few people who went outside the ropes back in the ’70s when I began my career. That said, I am not sure that skiing has changed much at its core. It is about going out and having fun on the mountain with family and friends. Shaped skis, fat skis, reverse camber or rocker. 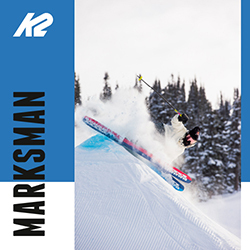 K2 has been at the leading edge of gear during just about all of the sport’s transformational moments. What’s the next paradigm shift or revolution in gear? Whatever the next revolution is, I am pretty sure that it won’t come from racing. Every one of the design developments you mention—deeper sidecuts, waist width and rocker, not to mention women’s specific ski designs—came from focusing on building better all-mountain skis for recreational skiers. What’s next? I believe there will be continued refinement of overall shape, sidecut and waist width in the short term, combined with strategies to attack the overall weight of the system—ski, boot and binding—in the longer term. Here’s the hippo in the corner: Is gear too expensive? Skis are a better value today than they have ever been. There is more quality, technology and performance built into the current products at all price points from all manufacturers. Ski manufacturing is an extremely competitive business with many brands, excess capacity and very low barriers to entry—as we have seen in the past decade with numerous boutique brands coming into the market. Combined with the impact the winter weather has on annual sales, prices have been relative flat for a long time. Considering that literally every pair of skis is handmade to a greater or lesser extent, and the fact that globally maybe 3.5 million pairs are sold on an annual basis, skis are actually an incredible bargain. For years, there were rumors that K2 was going to buy an existing boot brand. Why the decision to extend into boots now? And why do it in-house? 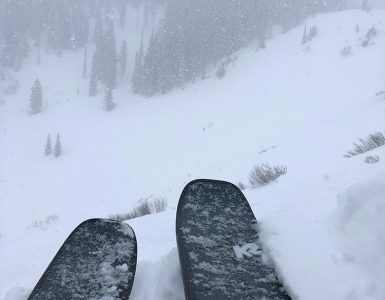 K2 definitely looked at acquiring several different ski boot brands that were for sale, but in the final analysis, we knew that it would be better to start with a blank slate. If we had purchased an existing brand, we would have had to slap our logo on it or figure out a way to modify their tooling to create our own design. 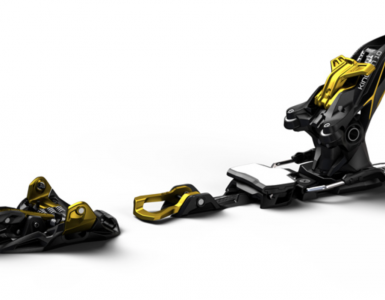 We were confident that we could build a great ski boot because K2 has an enormous amount of experience designing and manufacturing high-performance athletic footwear. In the past 20 years, K2 has built more than 20 million pairs of athletic shoes between K2 Inline Skates, K2 and Ride snowboard boots, Madshus Nordic boots and Zoot running shoes. 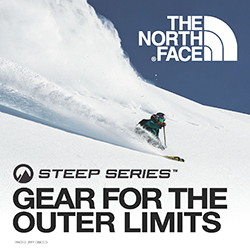 Given this internal knowledge, the team was able to quickly bring to market the first expert level ski boot that didn’t evolve from a race product. We think this is an important distinction because the boot you need to drive a longer, narrower, stiffer race ski has different requirements from what you need for a freeride or all-mountain ski. From a business standpoint, we got into the ski boot category because we were not participating in some 40 percent of the total ski hardgoods sales. What is the K2 product that you are the most proud of (not from this year’s line)? I have been involved with a lot of great K2 skis over the years. Working on the original AK Launchers with Coombs and the crew up at VHSG back in the day was pretty amazing, and good work if you can get it. The Apache Series and the Outlaw, especially, were also skis that I was proud to be a part of bringing to market. That said, if I had to pick one model, I would say that the K2 Four was the most exciting project I have had the privilege of working on. We set out to build a sub 200cm ski—heresy at the time—with a bigger sidecut targeted at expert-level recreational skiers. Internally we knew the ski was great, but when Bode Miller won a huge race on the K2 Four at Sugarloaf, the ski just took off. The K2 Four is one of the skis that legitimately changed the paradigm in ski design, and I am proud to be working again with Anthony DeRocco who was the lead ski designer on that project. Everyone, media and manufacturers, tirelessly tout the high-end (read: most expensive) range of products. Is that affecting entry into the sport? Sometimes it seems that the best values are in the mid-priced skis, which are damn good products these days.Does the industry need to change its emphasis? I don’t think the price of high-end skis are limiting entry to the sport because most first timers start on rental equipment. The quality of some of that rental equipment at certain resorts is probably a bigger limiting factor on converting new skiers but that is another question. Boots need to fit and skis need to be properly tuned to make the first days on skis successful, and I think more resorts should be sensitive to this fact in the products they offer. As for the value of mid-price skis, no question that the performance is better than ever. That said, if you are a committed skier, you should buy the best ski you can afford. Prior year product is always a good bet if you can find the size and model that works for you. It is like the difference between Shimano 105, Ultegra and Durace components for your road bike. The gear works better the more you spend. Ski sales are trending down—for some, brutally so. What’s behind that trend, and what can manufacturers do to change that? Ski sales have been relatively flat in the aggregate for the past 5 years. This is down about 19 percent from the high-water mark in the 1999-2000 season, but we are actually pretty stable at around 700,000 pairs of skis sold at retail. The reason for the decline since 1999-2000 in my mind is the availability of high-end rental product. Combined with the cost and added hassle of transporting skis by plane, it is easy to see why more traveling skiers are renting every year. I don’t see this changing, but I do believe more committed participants understand that it is a much better value to own the equipment if you ski frequently. We need to create the next generation of skiers. What’s worked in the past, and more importantly, what needs to be done to ensure the sport’s future? As long as it continues to snow, I am sure that there will be people sliding down snow-covered mountains. The sensation of flight and freedom is just too compelling. To insure the future of winter sports, all of us need to pass it on to the next generation. It starts with family and friends. Take them to the slopes with you. Rather than some sort of generic demand building campaign, sustaining and growing the sport is a question of hand-to-hand combat. I ski because my father skied. His technique was awful, but he got down the hill and he loved it. He brought my brother and me to the mountains—as my wife and I did with our sons—to do something as a family that was a fun, exciting, lifelong sport. 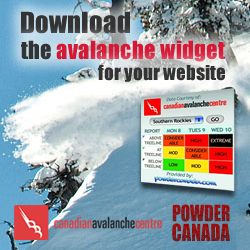 All of us need to do our part to bring new people into the winter world that only skiers and riders know. You were involved with Booth Creek for a while, in addition to other resorts. What can the resort side of the equation do to grow the sport? 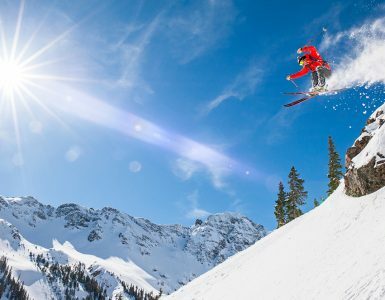 The National Ski Areas Association and it resort members are working actively to increase the number of people who try skiing and ultimately become lifelong skiers and snowboarders. They have the Learn to Ski and Snowboard Month in January and the Bring a Friend program. Both are good starts at increasing the number of people who give it a try—which is really the key. 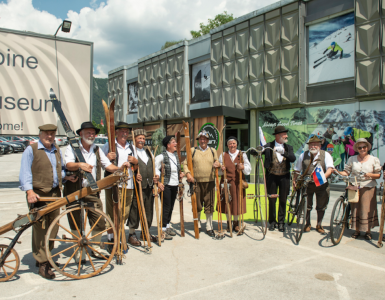 Combined with good ski teachers and rental equipment and the right terrain to learn on, I think we will continue to add new participants to replace the Baby Boomers who are gradually dropping out of the sport. Although this is all positive, if we want to get serious about growing the sport, we need to be cognizant of the demographic changes that will happen in this country over the next 20 years. If the ski business doesn’t reduce the barriers to entry for African Americans, Asians and Hispanics, then it will have an increasingly smaller pool of potential participants in the future. If you could ski with anyone, whom would it be with, and where? I’d love to be able to take another run with my friend and mentor, Stu Campbell. I learned more from him about life and making turns than just about anybody. Stu was one of the most interesting people and best ski teachers I have known. Doug Coombs would also be on the list if I could turn back the hands of time. We always laughed and he helped me see where you could ski on mountains in an entirely different way. Obviously neither of these is possible so in the present tense, Glen Plake, Mike Hattrup, Martin Volken, Miles and Liz Smart, Keith Rollins, Rob Bernthal, Doug Workman, Rick Hunt and my wife, Michelle, would all be on the short list of ski buddies. My sons, Joe and Casey, too. 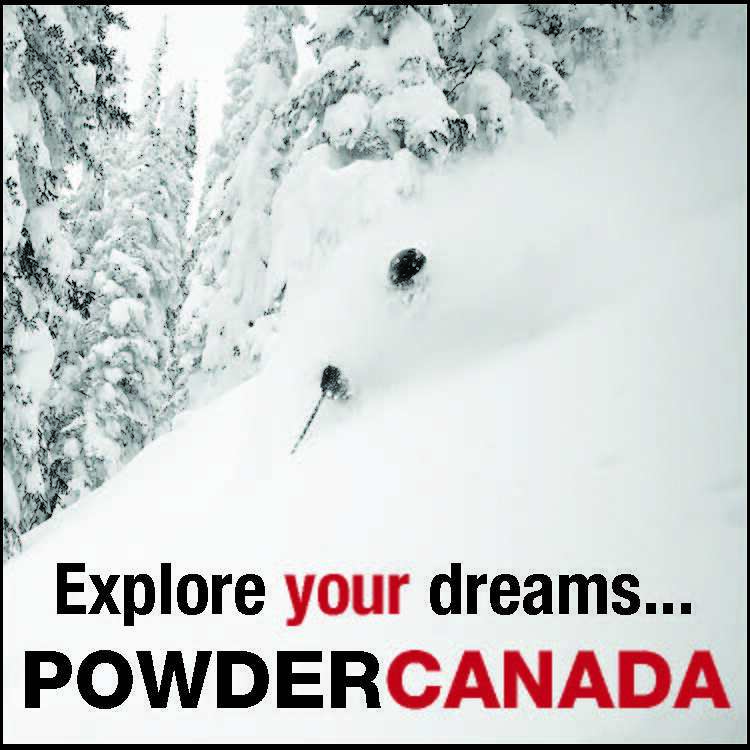 We could be skiing any mountain, big or small, in whatever snow conditions or terrain presented itself. At its essence, skiing is about the shared experience with friends. 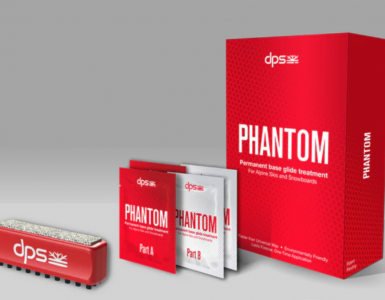 Phantom – Never Wax Again?